In the sizzling summer heat, student groups can add water parks to their itinerary to cool their bodies down. Water slides and wave pools are not the only activities available because some water parks offer educational programs that allow students to learn and have fun at the same time. Wisconsin Dells and Orlando are two hotspots that attract many visitors, but there are water parks around the United States that beckon student fun-seekers. Located in the heart of Wisconsin Dells, Noah’s Ark is one of the largest water parks in America. The park has 49 waterslides, two giant wave pools, two endless rivers, four children’s water play areas and bumper boats. In recent years, Noah’s Ark has added water rides such as the Black Anaconda, Time Warp and Scorpion’s Tail. A new addition in 2012 will be Quadzilla, a four-lane mat racing ride. Noah’s Ark offers discounted group rates. Those interested in the discount must preregister, pay in one transaction, arrive together and check in at the group sales booth. Groups who take advantage of the opportunity may save over $10 per ticket. Students can simultaneously have fun and learn at Noah’s Ark. One program is Ark-ology 101, located at the Ark-ology 101 building. It is the place where groups learn about the physics of how Noah’s Ark creates waves in its wave pools as well as the history of the water park. Mt. Olympus is a water and theme park covering over 200 acres. With an outdoor and indoor water park, people can enjoy water rides year-round. Neptune’s Water Kingdom, the outdoor park, has water slides in various lengths and speeds. It also has interactive pools for younger children and an endless river. A new addition in 2012 is Lost City of Atlantis, the Midwest’s largest water play structure. Meanwhile, Medusa’s Indoor Water Park is ideal for those who prefer to stay out of the sun. It features the Mystical Tower tube slides for single or double riders. For a more serene activity, people can go to the Jaguar Hot Tub, a Mayan-theme whirlpool, and the Sacred Well Whirlpool. In addition to water activities, Mt. Olympus offers roller coasters and go-karts at its outdoor theme park, Zeus’ Playground. The Parthenon, its indoor theme park, has roller coasters, bumper cars and teacups. Those who stay at Mt. Olympus Resorts gain free park admission. The park offers groups of 15 or more a special rate. 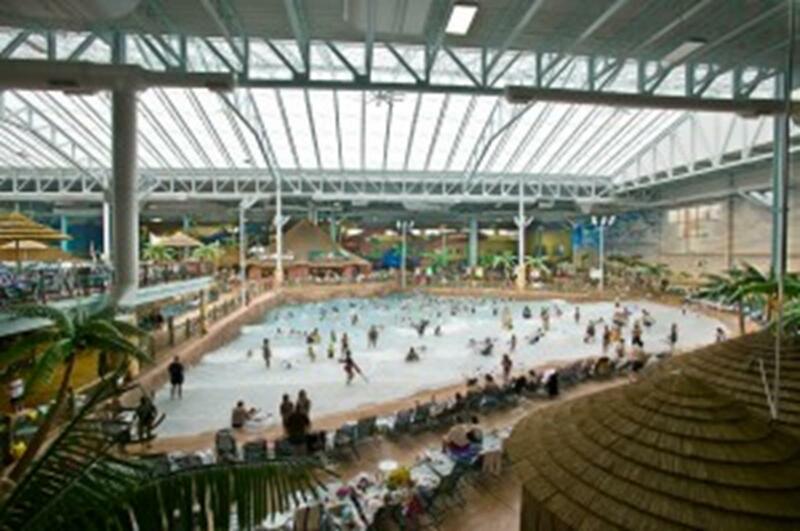 Kalahari Resorts is a water park and resort founded in May 2000.The name “Kalahari” derives from the Tswana word Kalagre, which means “a waterless place.” Despite its name, Kalahari Resorts is home to America’s largest indoor water park (173,000 square feet.) The African-themed water park gives visitors the opportunity to have fun in the water regardless of the weather. It features the Swahili Swirl, a 60-inch diameter bowl raft ride, as well as the Zip Coaster, an uphill roller coaster waterslide. The outdoor counterpart features bungalows, a kids’ activity pool and playground. Furthermore, Kalahari Resorts has an “under-one-roof” concept, giving visitors the opportunity to enjoy zip lining, golfing and water rides all at the same location. Kalahari Resorts offers discounted rates to groups of 10 or more. Boy and Girl Scouts, child care providers, religious groups, schools, sports teams, YMCA and youth organizations may be eligible for a special Tax Exempt Youth Group package. Blizzard Beach is one of the two water parks at Walt Disney World Resort. Blending ski resort and tropical themes, it features one of the world’s tallest and fastest free-falling waterslides, Summit Plummet, which stands 120 feet high. Popular with teens and adults, Summit Plummet sends the rider through a dark tunnel at 50 to 60 miles per hour. For those afraid of heights, Teamboat Springs is a raft ride suitable for families. The ride for up to six people is a 1,200 foot-long journey down the river. Cross Country Creek is a slow, relaxing raft ride around the park. Wet’n Wild claims to offer more multi-person water rides than any other water park. The Surge is a five-story tube ride that can take up to four people on an adventure down 600 feet of sharp turns and big dips. Another ride that can carry up to four people is the Bubba Tub, a six-story ride that offers a triple-dip drop. 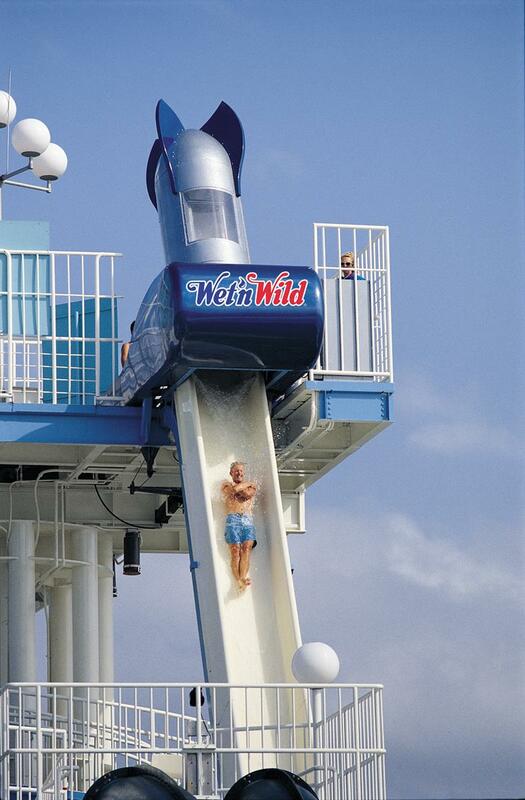 Wet’n Wild also offers plenty of single-person rides. For example, the Bomb Bay sends the rider through a 76-foot, nearly vertical slide once the trap door opens beneath them. After a few seconds, the slide sends the rider splashing into a pool of water. Those interested in more than just water slides can go to the Wake Zone to wake skate. Wet’n Wild offers discounts for groups of 15 or more guests. Youth Programs including Girl Scout and Boy Scout outings are also available at a discounted price. Student groups may be interested in the self-guided educational program Science Challenge. Since Wet’n Wild is open year-round, teachers can easily incorporate this educational program into their lesson plan. This program is geared toward middle and high school students and is free of charge. Just minutes away from Busch Gardens, Water Country USA is the mid-Atlantic’s largest water park. The park, opened in 1984, has a 1950s and 60s surf theme. In addition to water rides, it offers summertime entertainment, dining and shopping. Groups may order single-day tickets online and save $14 per ticket. Water Country USA offers many thrill rides and slides. Vanish Point is a slide tower with a 75-foot drop that sends the rider nearly 40 miles per hour and has two super loop slides as well as two free-fall slides. Hubba Hubba Highway, the park’s largest attraction, measures 1,500 feet in length and covers 3.5 acres. This river adventure features water-spraying effects and cool geysers while people ride along a quick current without a raft or tube. Six Flags White Water, just outside of Atlanta, claims to be the largest water park in the Southeast. It boasts 50 attractions. The Cliffhanger, which claims to be one of the tallest free-falls on earth, plummets nine stories. Another ride for adventure-seekers is the Dragon’s Tail, which features a 250-foot triple drop. Groups of 15 or more who plan on visiting Six Flags White Water may order group tickets online, by phone or mail. The Fun Day Program is available for groups of 50 or more, and includes admission and Meal Deal vouchers. Located just 15 minutes away north of downtown Denver, Water World is one of America’s largest water parks. It opened in 1979 and now has over 46 water attractions. Water World has more family tube rides than any other water park in the United States, although there are also numerous thrill rides. For example, Jetstream shoots the rider down twisting dark tubes. A thrill ride, The Lines plunges riders six stories down a slide. Any group of 15 or more can make group reservations online or by phone. An all-you-care-to-eat buffet option is available for groups of 15 or more. Groups can enjoy a variety of food buffet-style, including hamburgers, hot dogs, pulled pork, chicken, a salad bar, sides, dessert and soda. Schlitterbahn Beach Waterpark claims to be ranked as the No. 1 kid-friendly destination in Texas. Schlitterbahn, meaning “slippery road” in German, opened in 1979. Today, the 70-acre water park features more than 40 rides and family activities in six areas, including two uphill water coasters, nine tube chutes, the world’s longest tubing adventure, 17 water slides, the Boogie Bahn bodyboarding ride, a family wave pool, five swimming pools, five heated pools, seven children’s water playgrounds, and water and sand volleyball courts. What sets Schlitterbahn apart from other water parks is its natural riverfront setting and mix of attractions. For example, the Boogie Bahn allows visitors to experience body-boarding. Meanwhile, the Sea Blaster is an uphill water coaster that is powered by the water blaster, the Storm Chaser, and takes riders up hill and down. Schlitterbahn gives groups of 15 or more a variety of ticket and meal options. Group rates are available without a reservation on the day of visit. However, for greater savings, Schlitterbahn must receive a prepaid order 10 days before the group visits. It also holds school days and educational events for schools interested in taking their students to the water park. Raging Waters claims to be California’s largest water park. It features water rides, slides, waves, rivers and pools suitable for all ages. The first two-person raft adventure ride through total darkness in the United States, the Dark Hole uses two 500-foot-long fiberglass flumes, with a general drop of 52 feet. Another noteworthy attraction is The Vortex, a tube slide that takes riders down an enclosed 270-foot-long spiral body flume. Splash Island, a tropical-themed section of the water park, is ideal for families. It features 12 levels and 75 activities including five slides, water cannons, web crawl tunnels, spiral cargo nets and swinging bridges. The focus of Splash Island is a 1,000-gallon bucket that empties hundreds of gallons of water over the attraction every few minutes. Raging Waters welcomes groups of 15 or more and requires reservations in advance. During May and June, it offers a discounted pricing for schools. Splish Splash is a 96-acre water park with numerous activities for all age groups. Adventure seekers may enjoy an extreme body slide called the Cliff Diver, which drops the rider eight stories in three seconds. Kahuna Bay, the new wave pool, features four-foot waves that also allows visitors to body-surf. After a long day, visitors can relax on the Lazy River, a relaxing tube ride on a gentle current enveloped by spraying fountains. A new addition this summer is a ride called Dinosaur Falls, a tube slide. Discounted rates are available for a party of 20 or more. Teachers can take advantage of the special school rate before June 30. In addition to standard admission, Splish Splash offers food plans for groups such as the Lunch Package, Pizza Package and Chicken Package. Dollywood’s Splash Country has invested $12 million in capital investments and additions to the park since it first opened its doors to the public in 2001. Themed after the area’s Smoky Mountains heritage, the park was built into the natural terrain of a 35-acre mountain hollow. It features more than 23 water adventure slides and thrill rides. Groups of 15 or more visiting Dollywood’s Splash Country receive a special rate. 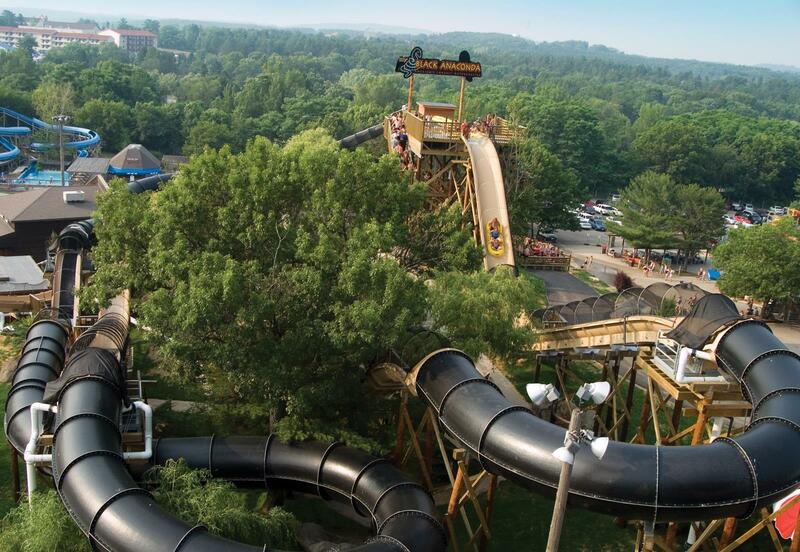 For greater savings, the water park suggests groups make reservations two weeks in advance as Dollywood provides one free ticket with every 15 paid admissions. Another option is its Dixie Stampede Combo (water park admission and dinner show at Dixie Stampede) and includes one ticket with every 20 paid admissions. Student groups may receive a special bonus if they make reservations at least one week prior to their arrival. Dollywood provides free lunch for all students in a group that consists of 15 or more on school-sponsored field trips visiting Monday through Friday. Teachers may also gain free admission to the water park. With every 15 paid student tickets, Dollywood’s Splash Country provides one free Teacher Season Pass Voucher. Vernie Wong is a senior at Illinois State University majoring in English Studies and Political Science. She started working at Premier Tourism Marketing as an editorial intern in May 2012 and contributes to both print and online publications including InSite on Student Travel and Leisure Group Travel magazine.